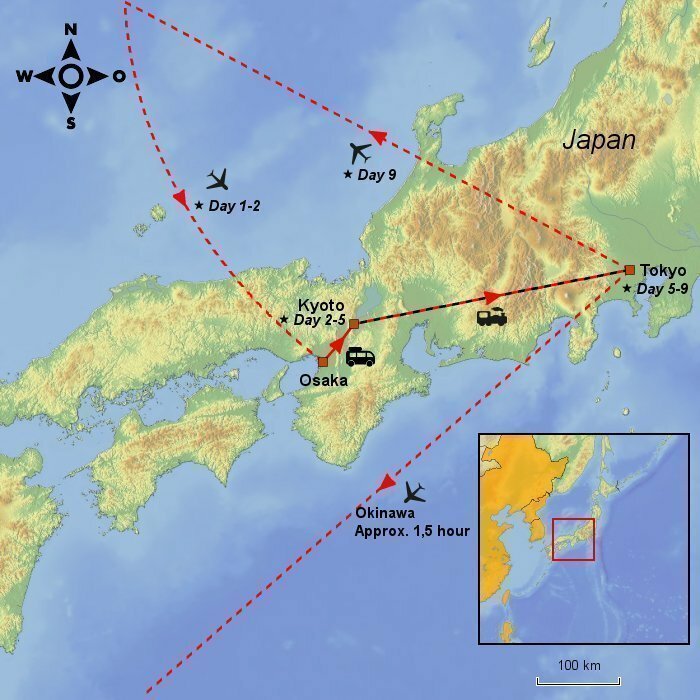 Kyoto & Tokyo – Book a 9-day tour of Japan’s heart & brain here! This trip lets you experience the essence of Japan. From the old capital of Kyoto and its history with a deep-rooted culture of respect, neat order and old traditions to the hyper-modern capital of Tokyo with its Imperial Palace, manga culture and the ultra-rich Ginza district. Kyoto’s well-preserved city view with its low, thin-walled wooden houses with sliding doors give you an impression of the Japan of the past, whereas in Tokyo you experience mega-stations, modern architecture and skyscrapers. 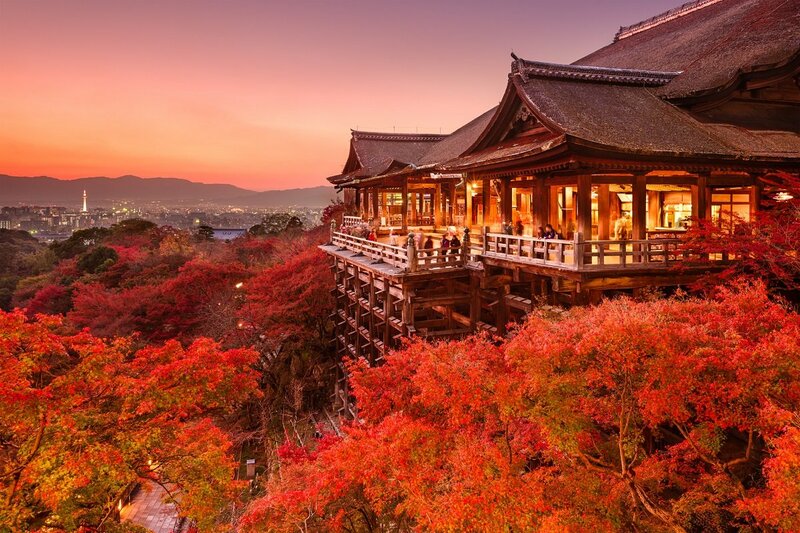 In Kyoto, you will experience two of the city’s main attractions: The Silver Pavilion (Ginkakuji) and the beautiful Kiyomizu Temple, both UNESCO World Heritage Sites. The city’s many shrines, tea houses and pavilions wreathe Kyoto in a unique historical atmosphere. At the same time, beautiful gardens and waterways can be seen all over the place. 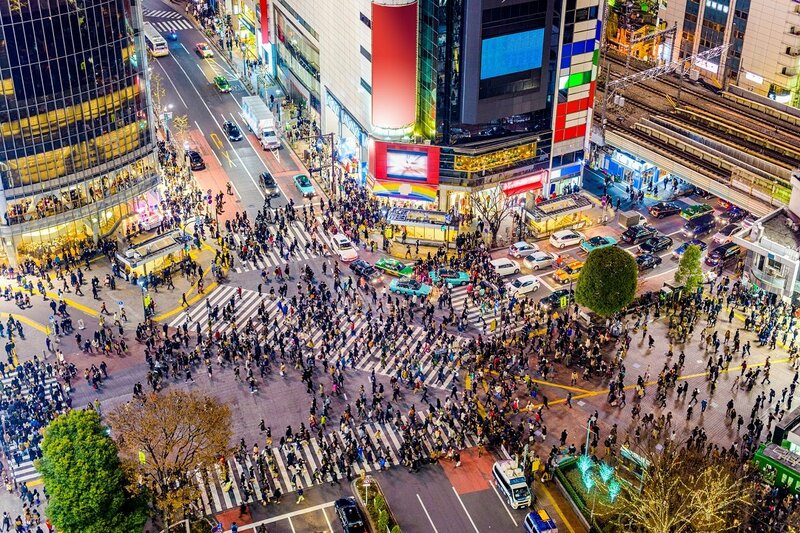 Guided tours of Tokyo take you to modern Japan with cutting-edge youth, neon signs, every electronic device imaginable and a super-efficient transit system. 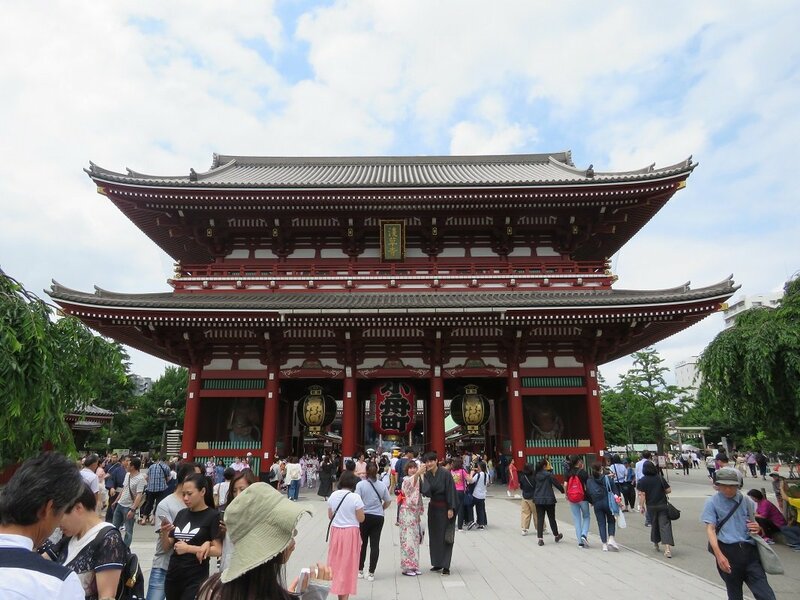 But you will also experience pockets of ancient history and culture, guarded closely and dearly by the city’s inhabitants, such as the beautiful and popular parks, and the Sensoji Temple. Departure from the chosen airport in the UK with possible connecting flights on the way. On your arrival, you go through immigration, where a 90-day residence visa is stamped in your passport. Afterwards, you collect your luggage and pass through customs to the arrivals hall. A representative of our partner will be waiting for you in the arrivals hall, holding up an Asiatours sign with your name on it. He or she will accompany you to the bus, which drives you to your hotel in Kyoto. You will be staying in Kyoto for the next three nights. Kyoto is an incredible city with rich history, which has been, and continues to be, a major influence on the Japanese self-image. For more than 1000 years, Kyoto was the capital of Japan all the way up until 1868. About 2000 temples, shrines and imperial buildings are preserved here, and the city is home to a wealth of universities as well. 17 buildings designated as UNESCO world heritage sites can be found here. 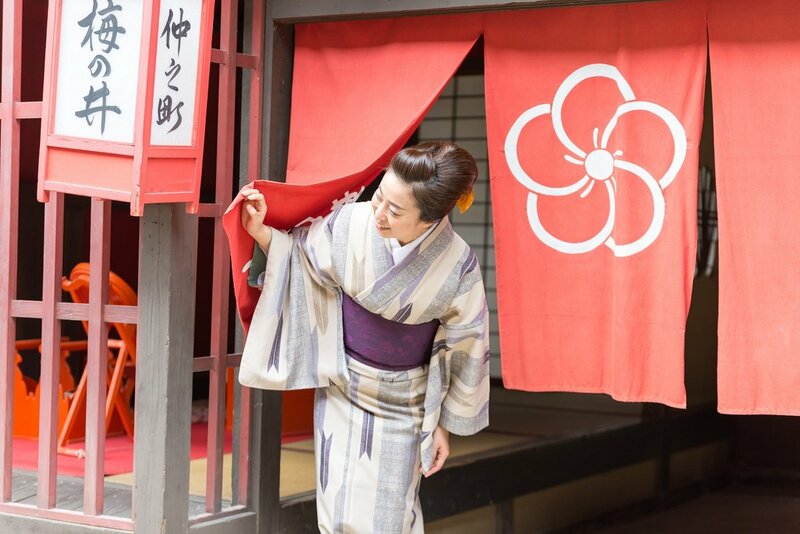 In Kyoto, Japanese cultural heritage is alive and kicking, and the geisha quarters with its schools and tea houses aren’t just there for the tourists. The city has a limited size, and it is easy to travel around. 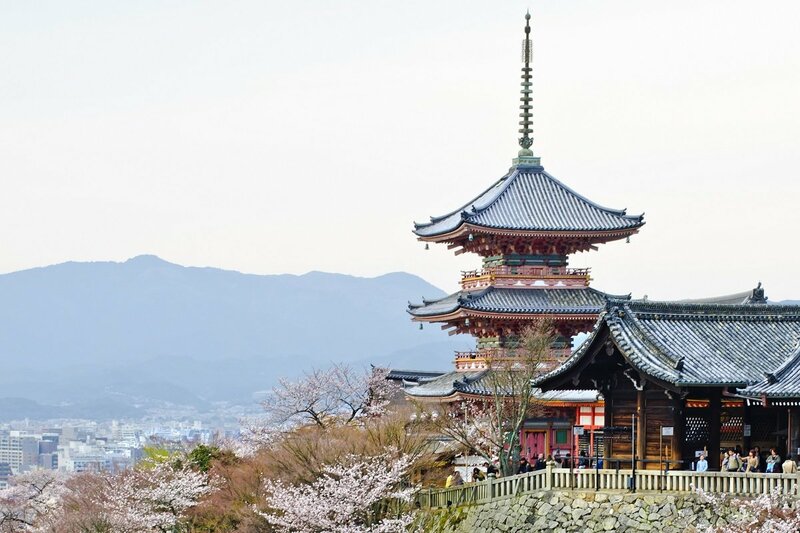 With its 1.5 million inhabitants, Kyoto is also one of Japan’s “smaller cities”! Upon arrival at the hotel, the day is free at your disposal. After breakfast, a local English-speaking guide will come to the hotel to hold a welcome meeting. At the welcome meeting, the guide will run through the itinerary of the next few days, fill you in on some practical things and answer any questions you may have. You will also receive an IC card, an electronic travel pass for trains and buses preloaded with 2500 JPY. It’s easy to top it up if you need to. 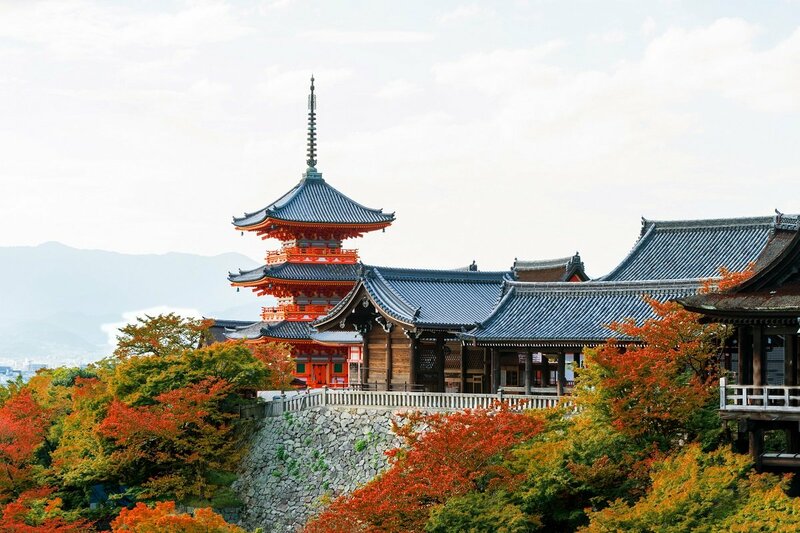 Today you are taking a guided tour of two of Kyoto’s greatest sights; the the beautiful and iconic UNESCO World Heritage Sites, Ginkakuji and Kiyomizu. This a walking tour, so make sure to wear some good footwear. The guide picks you up at the hotel and you first visit Ginkakuji, also known as the Silver Pavilion. 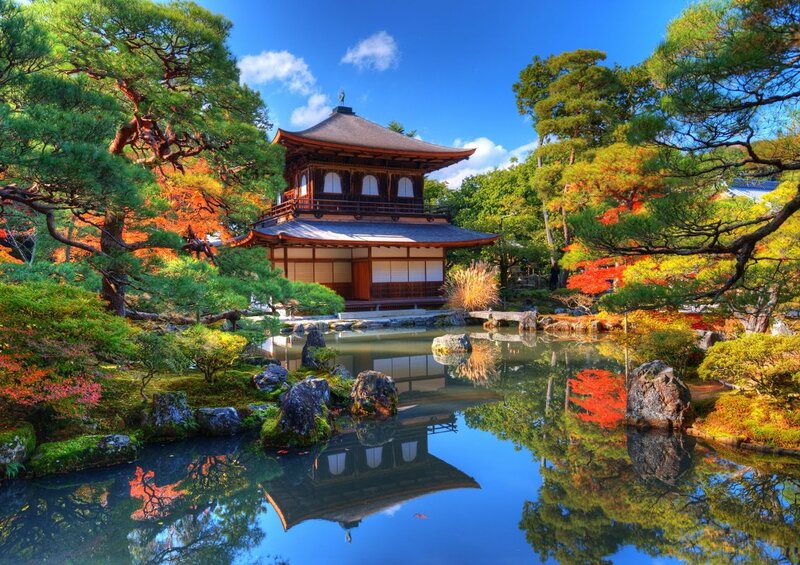 The Zen temple was originally built as a Shogun’s private villa, and it is surrounded by a fantastic garden. The stone garden is particularly iconic. The way up to Ginkakuji is narrow and lovely with its many cafés and small shops. It’s usually possible to buy a rickshaw ride here as well. From here you walk along the Philosopher’s Path through the northern end of the Higashiyama district. 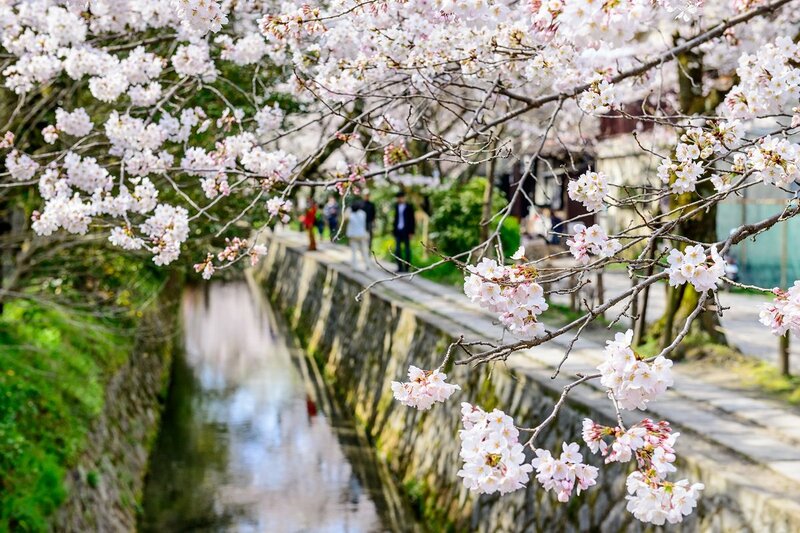 The Philosopher’s Path takes you along a canal adorned with hundreds of Japanese cherry trees. 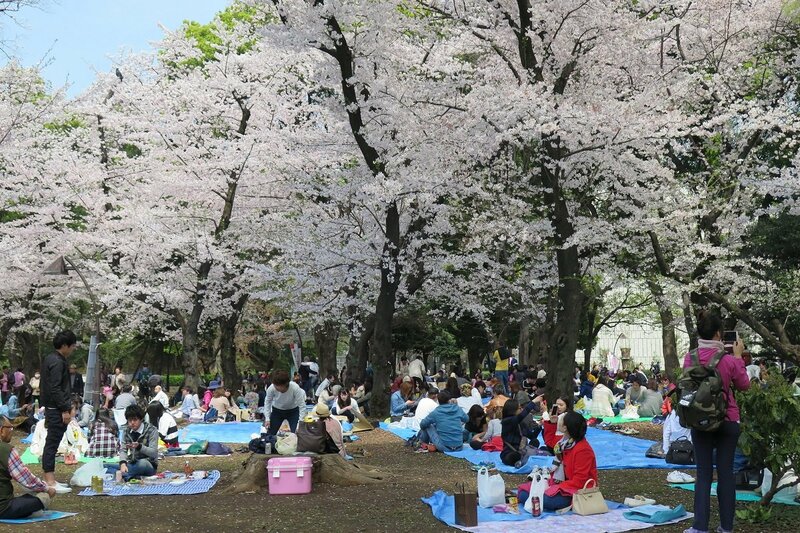 During the cherry blossom, or Sakura, season, it is an extremely popular location. The last stop on today’s excursion is Kiyomizu. The impressive, beautiful temple structure is 3 storeys high, built from wood and joined together. There is a large terrace at the temple, offering you a spectacular view of Kyoto. Behind the temple is the Jishu Shrine, home to the god of love and marriage. For this reason, many young Japanese people come here to pray for luck in love and a good marriage. Kyoto has so much to offer that the hard part is to fit it all in! You can opt to rent a bicycle and go exploring along Kyoto’s countless canals. As with most cities whose roots reach far back into history, access to water has been extremely important. Kyoto is split up by a few rivers, from which hundreds of canals have been built, leading to an endless number of well springs and ponds. There is a lushness to be found in the plant life of the city, which naturally also provides some welcome shade during the hot summer months. When the cherry trees blossom, the water draws out a whole new dimension to their beauty. You can simply walk the streets and take it all in. 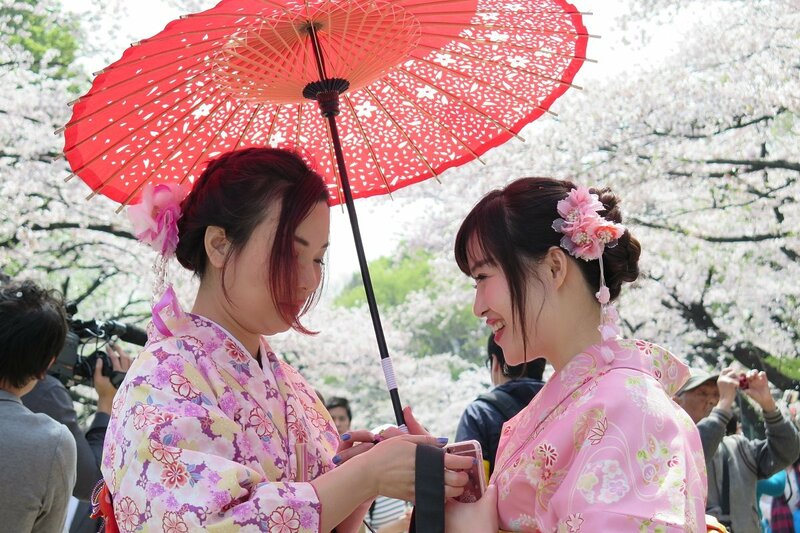 You will quickly discover that there are many Japanese tourists in Kyoto, and one of the popular activities here is to dress in a traditional kimono for a day – and this goes for both men and women. They are wonderfully colourful, and young people have a great time with it. Of course, there are also many sights that were not included in yesterday’s tour. 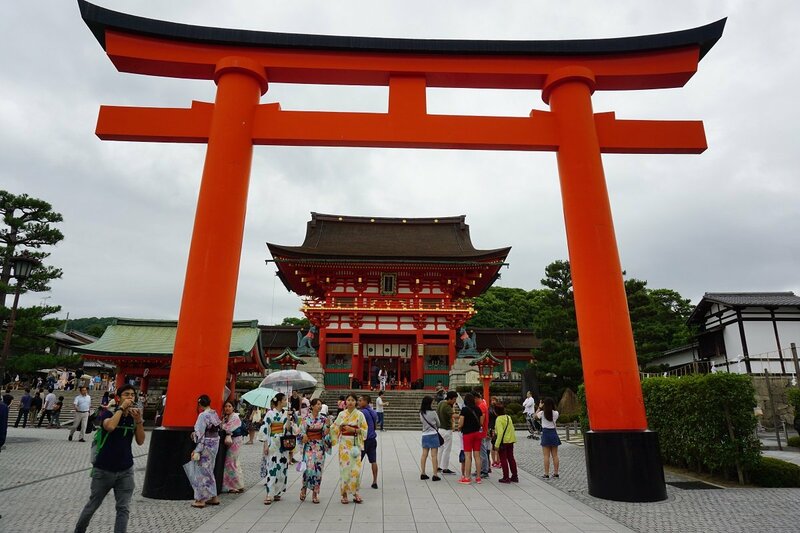 One attraction received international fame due to the film “Memoirs of a Geisha”, namely the Fushimi Inari head shrine. The paths leading up to the shrine are flanked by vermilion gates, as if forming long pergolas. The gates are donated by a variety of people, and the donators’ names are written in black characters on the gate. A completely unique mood rests over the shrine, which holds about 10,000 vermilion gates in all. 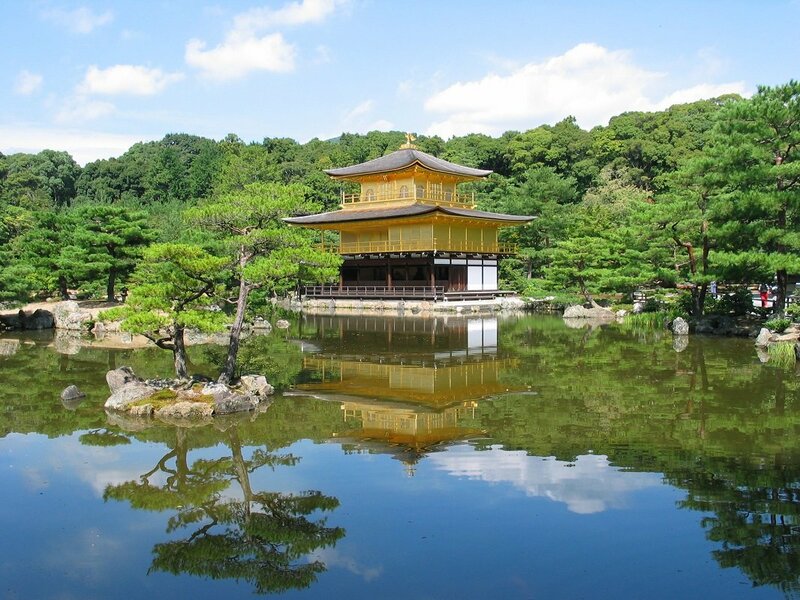 Another sight, which also practically is a must-see, is the Golden Pavilion, Kinkakuji. The Golden Pavilion is Kyoto’s most iconic sight. The 3-story building sits with a façade facing a lake, making it a breath-taking sight when light hits the building and casts a reflection in the water. Kyoto is known all over Japan for its culinary delights. 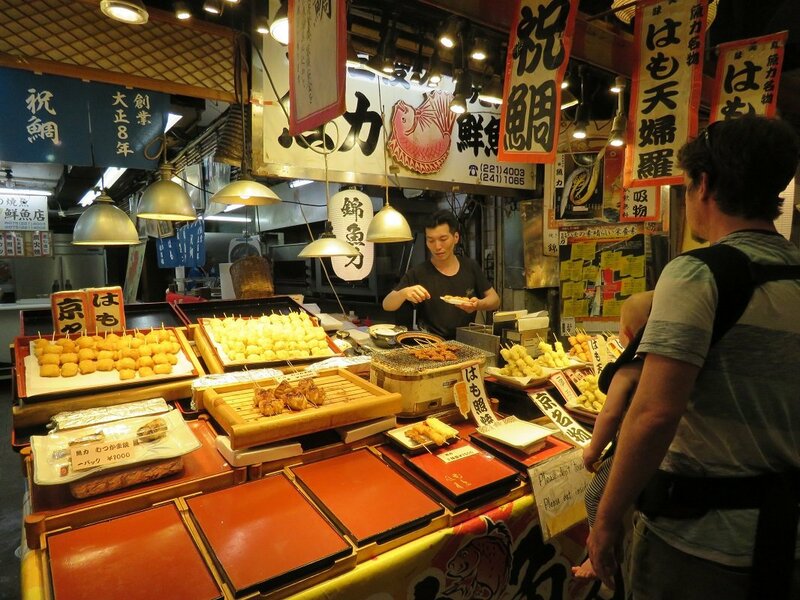 Therefore, there is a wealth of excellent restaurants and exciting food markets, such as Nishiki. We recommend giving a cooking lesson a try. Today you put the cultural stronghold, and Japan’s heart, Kyoto behind you, and continue on to Tokyo, which is considered to be the brain of Japan. 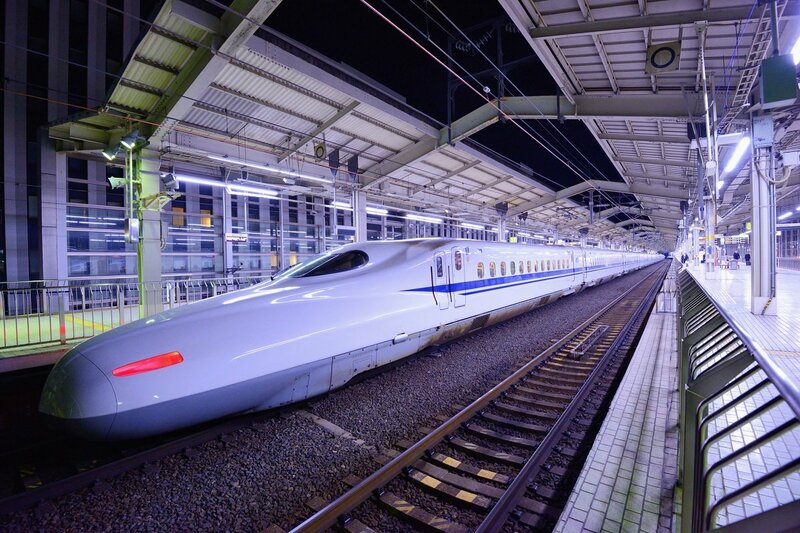 You travel by the high-speed Shinkansen bullet train, which has its own platform at each of its stops. Travelling by train in Japan is quite an experience. The bullet trains pull 6, 8, 12 or 18 cars. The information signs at the station show how many cars each train is pulling. When you are down at the platform, the platform itself is marked to show you exactly where your car will arrive. And the train stays within a few centimetres of the marking. After all, icons are painted on the platform for the train length, e.g. “6 cars – car 5” or “12 cars – car 3”. So once you get an eye for the system, it’s very convenient. 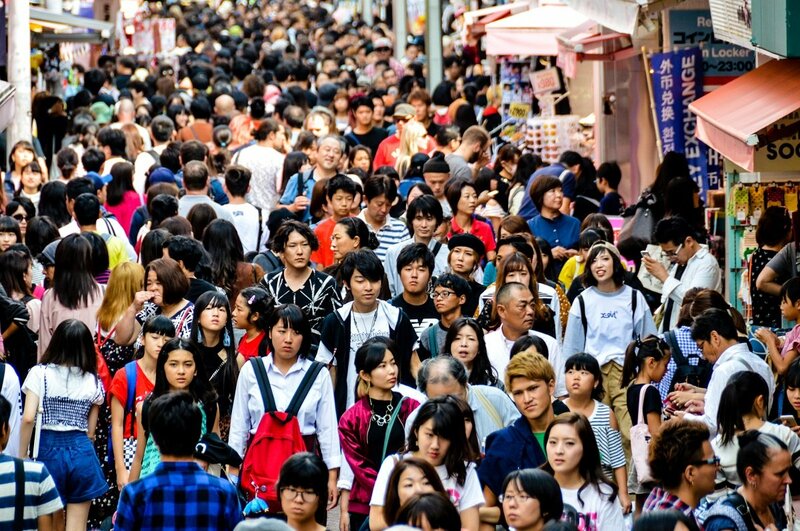 The Japanese furthermore have a wonderful queuing culture. You neatly get in line at the relevant platform icon, and walk calmly and quietly into the train in the same order you arrived in – no rushing ahead or jumping the queue! The trains run very punctually throughout Japan, and if there is a delay of more than a few minutes, it becomes a major topic of discussion on the train and will be noted in national news on TV and on the radio. These are 514 kilometres from Kyoto Station to Tokyo Station. This distance is covered by the Shinkansen in just over 2 hours. 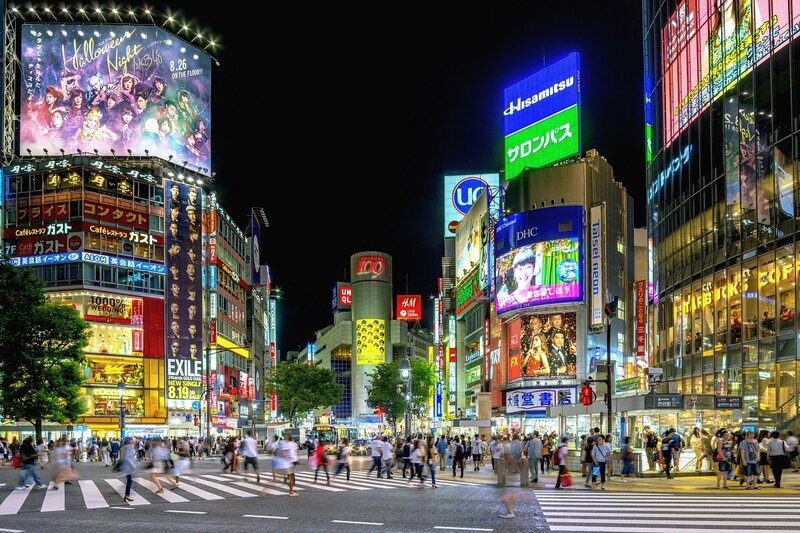 When you arrive in Tokyo, your guide will be waiting for you on the platform to accompany you to the hotel. You take the metro from the station to the hotel, using your IC card issued at the welcome meeting on day 2. 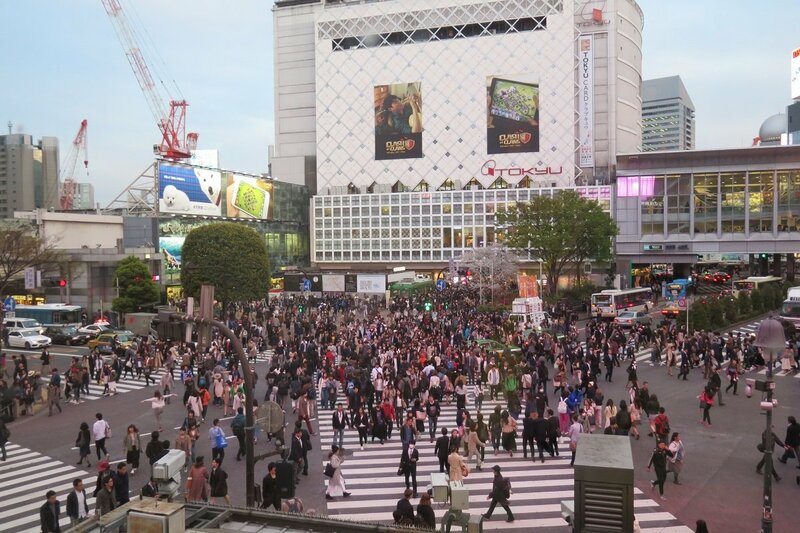 Once you have checked in at the hotel, there will be a guided city tour of the metropolis of Tokyo in the afternoon. The guided half-day tour begins in Shibuya. Shibuya is famous for many things: 1) a hot shopping district for fashion and accessories, 2) the home of new, cutting-edge fashion designers and trend-setting entertainment, and not least 3) Tokyo’s most famous and photogenic street crossing, which thousands of busy people cross when they get the green light to walk, while drivers from all directions have to stop for red. Afterwards, the tour continues to Harajuku, another one of Tokyo’s fashion capitals. One of Harajuku’s famous streets is Takeshita Dori, which with its side alleys has become a stronghold of teenage culture. The street is packed with young people dressed in fantastically colourful clothes here, and it seems that although basically anything goes, they are always very well-dressed. The afternoon concludes with a visit to a department store, where the basement floor sells produce exhibited like small works of art. It is an experience all on its own to see how packaging is a part of the shopping experience. Today there is a guided full-day excursion. To make it easy to get around, the tour is based around the public transport system. The tour begins at the Meiji Shrine, which was built in memory of Emperor Meiji. 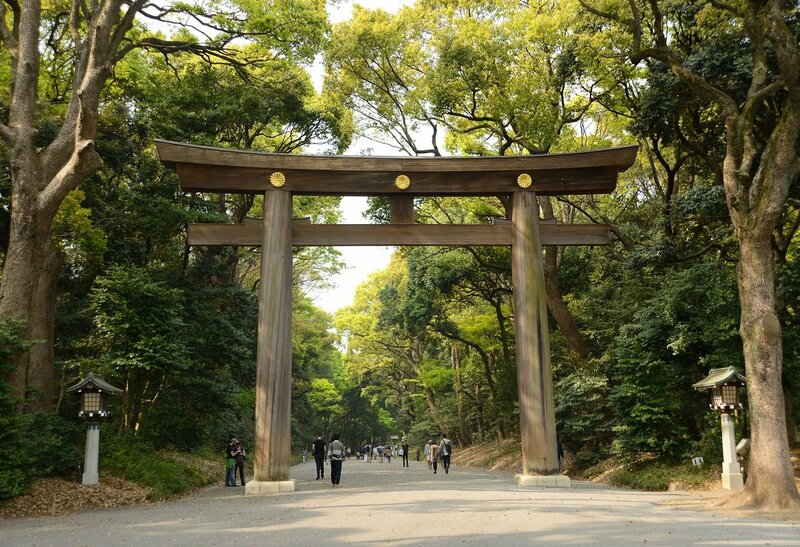 The Meiji shrine is located at the centre of Tokyo, in a big, forested park. Before you reach the shrine, you pass through 2 very large Shinto gates. Up at the shrine there is a kind of solemn tranquillity, a huge contrast to the hectic city life just outside the park. This is an extremely popular place to hold traditional weddings, and there is a good chance you will see Shinto priests, happy couples and wedding guests. 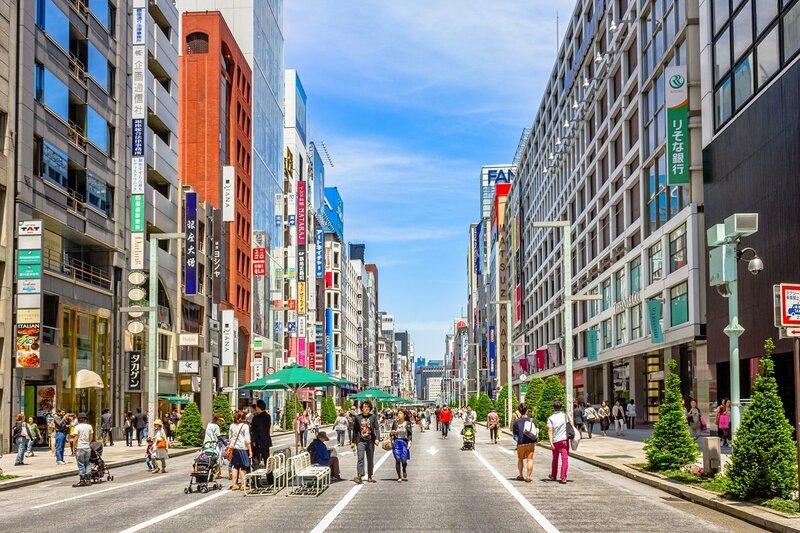 From Meiji you walk to the Omotesando street, Tokyo’s equivalent to 5th Avenue or Champs-Elysees. This is where international fashion brands keep their boutiques. Here you will experience that the staff follow customers all the way out onto the street and bow deeply when their customers wander on. The deep bow is a traditional Japanese expression of great respect. The tour continues to Asakusa, Tokyo’s old district. There are still some old buildings here, and no huge high-rises. Aside from the feel of the streets and alleys, another central highlight is Sensoji. This is the oldest temple in Tokyo, and for many Japanese people, coming here to light incense is of profound importance. Nakamise is a long pedestrian street crowded with souvenir shops and food stalls leading up to the Sensoji Temple. This street is never dull, and you will see women, couples, and sometimes entire families dressed in traditional kimono. They are on the way to light incense and waft some sacred smoke to themselves in hopes of curing illnesses, gaining good fortune, having children or something else entirely. From Sensoji there is a short walk to the Sumida river. 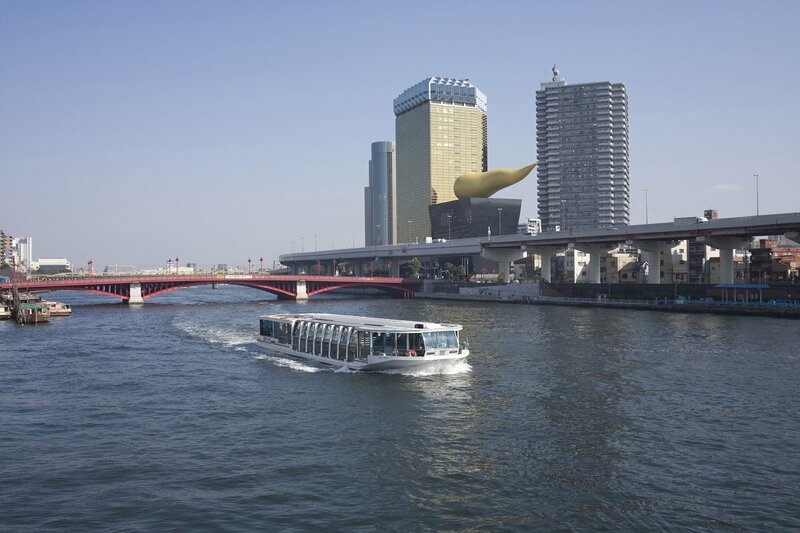 Here you are taking a boat ride to see Tokyo from the river. On the way you pass many iconic buildings, such as the Asahi Super Dry headquarters, and the legendary 12 bridges, displaying a fantastic variety of architecture and colour. You get off the boat at the Hamarikyu garden, a park located at the centre of Tokyo and that faces Tokyo Bay. As an unusual aside, the park contains salt-water lakes, where the mirror-smooth surface rises and falls with the tides. The park is from the early Edo era around the year 1600, and its contrast to the skyline of modern Tokyo with its skyscrapers just behind the park is very suggestive of modern Japan. In one of the tea houses in the park you can buy a piping hot cup of “matcha”, green tea. You return to the hotel at the end of the afternoon. Tokyo has so many different experiences to offer. 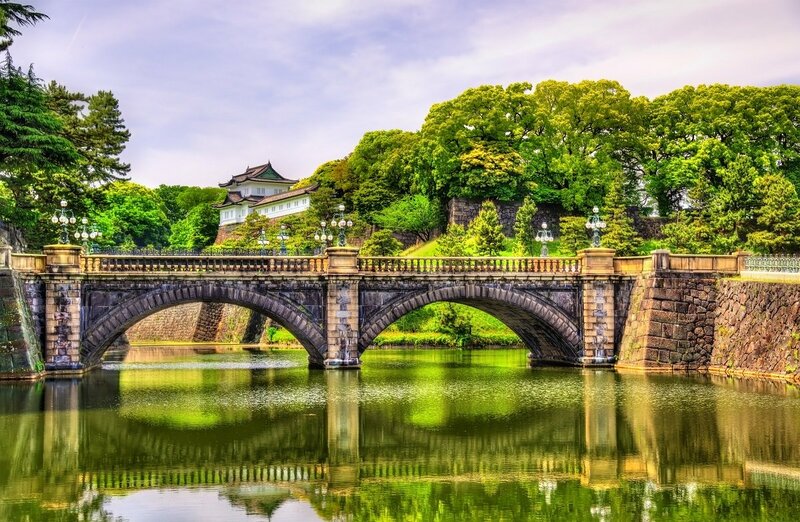 The Imperial Palace and the Niju-bashi bridge over its moat is one of the iconic highlights of Tokyo. 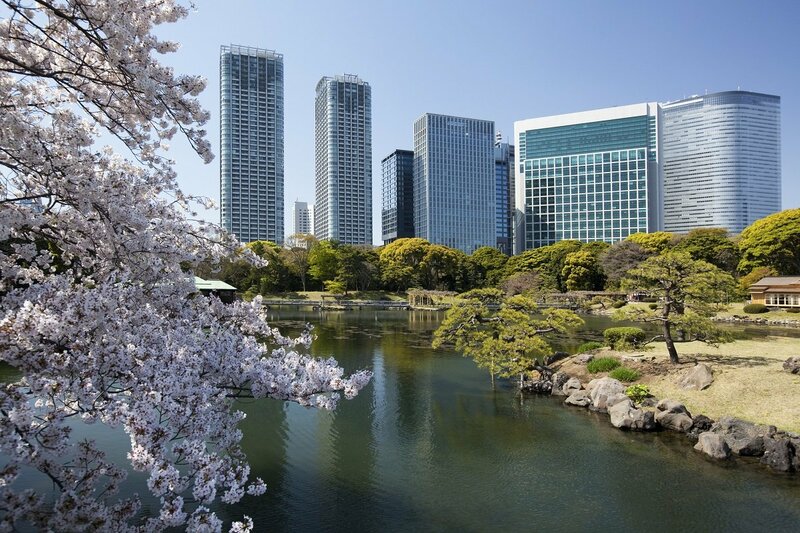 Not far from the palace and the park is the district of Ginza, which is associated with the highest square-metre real estate prices in the world, and the ultra-rich bohemian lifestyle. It features everything in cafés, bars, restaurants and shopping malls. Closer to river in the Tsukiji district – at the heart of Tokyo – is Japan’s world-famous fish auction. There have been plans to move it to a different location for a while, but for now, it remains in Tsukiji. Another one of the big contrasts in the hyper-modern metropolis. In the Akihabara district you can find everything the heart desires in electronics. Shop after shop is packed with electronics. In more recent years, the district has also become famous as a hotspot for “otaku” culture and manga fans. This is also where you can enjoy the unique experience of visiting a “maid café”, where the staff are dressed as comic book waitresses. The day is spent at your leisure until your airport transfer. You are picked up at your hotel and driven to the airport, from which you fly to the UK. There may be connecting flights on the way. 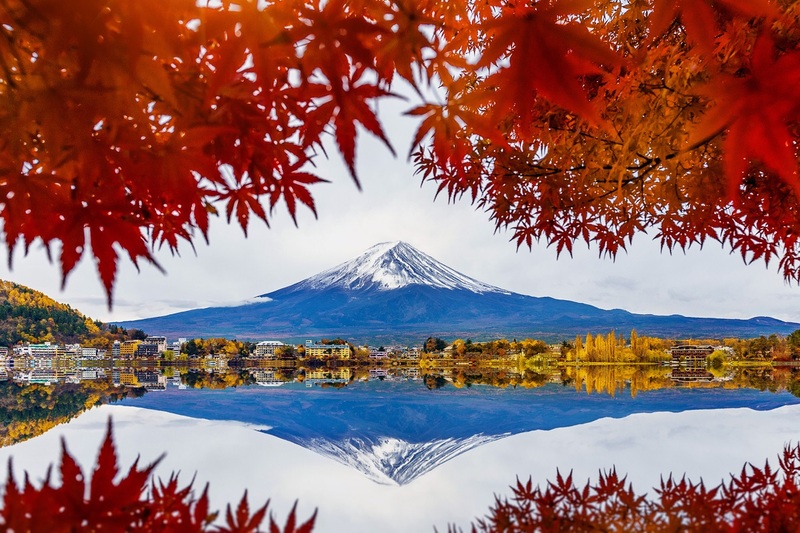 Treat yourself to a break from the Tokyo city life and conclude your tour with an extension to the natural beauty of Hakone, which is 84 km southwest of Tokyo and makes up part of the Fuji-Hakone-Izu National Park. 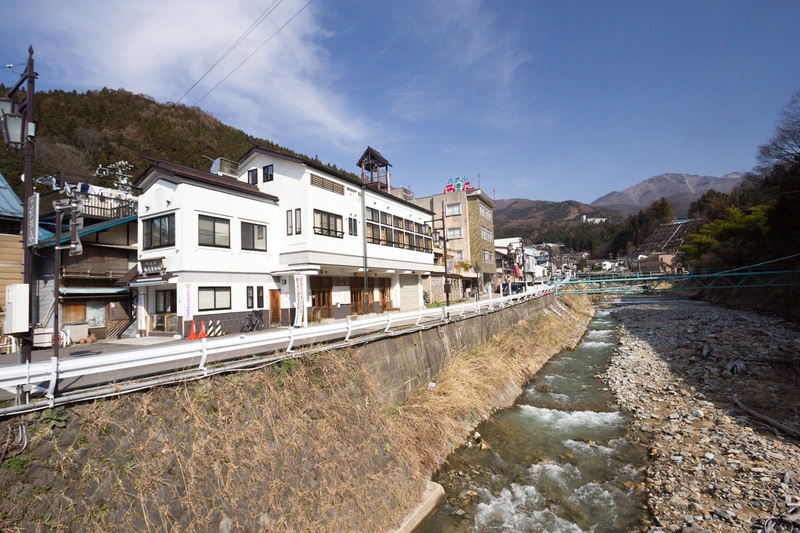 The area is renowned for its onsen baths, not to mention its fantastic nature and view of the 3776-metre high volcano Mt. Fuji. 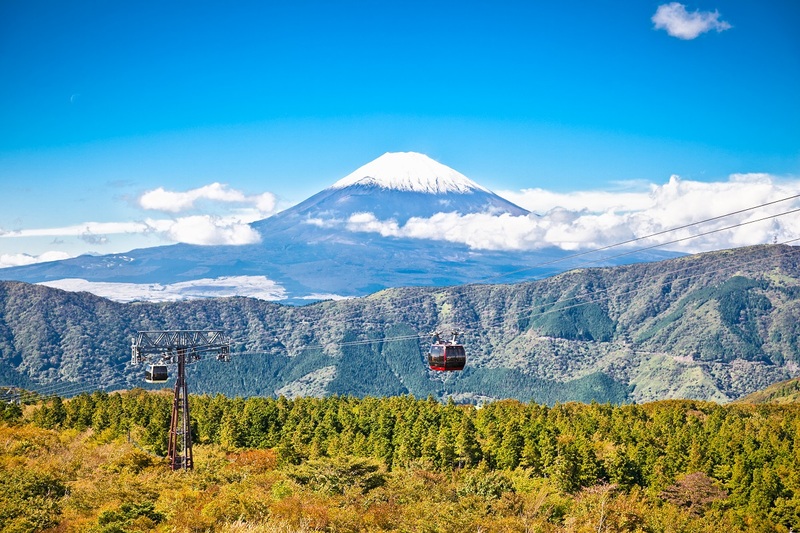 Included in the price is a two-day excursion ticket, the Hakone Freepass, which grants you unlimited access to buses, trains and ropeways in Hakone. 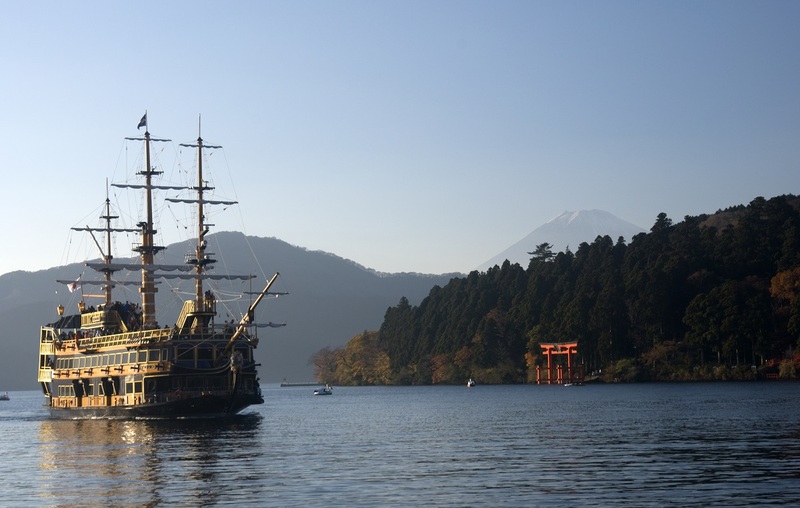 At the same time, it grants you free access to some of Hakone’s most popular attractions. This gives you the freedom to decide how you wish to prioritise your time in the area yourself. Perhaps you would like to go up the Hakone Ropeway to enjoy the view of Owakudani Valley, better known as the Great Boiling Valley? Or how about a boat trip on the crater lake Ashi? The opportunities are many, so all you need to do is make use of them. We recommend you spend the evening in the hotel’s onsen bath, where the hot, mineral-rich water heated by local volcanic activity loosens up any tense muscles and fills you with renewed vigour. This is a relaxing extension that gives you some lovely experiences in Japan’s impressive, gorgeous nature. The trip ends with a night in Tokyo. 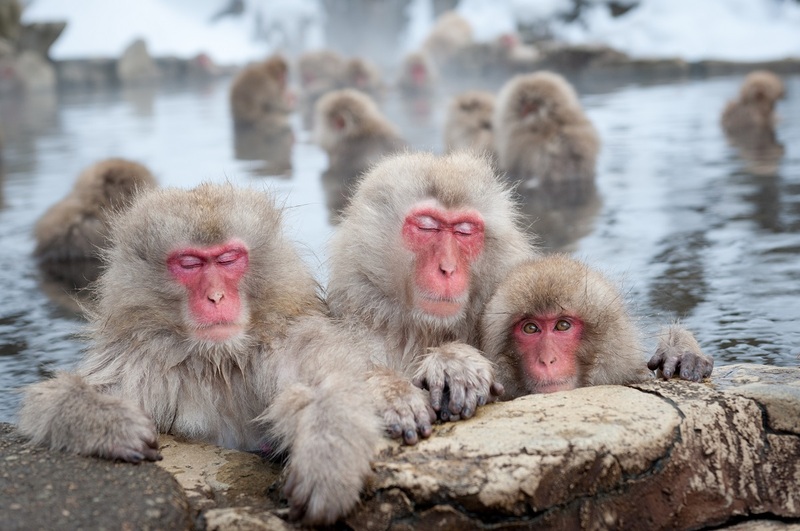 Extend your tour with a stay in the Japanese Alps, where you can visit the Jigokudani Monkey Park and see Japanese snow monkeys, in their natural habitat. Jigokudani Monkey Park – also known as Snow Monkey Park – is outside the town of Yudanaka, northwest of Tokyo. The snow monkeys are wild animals and live in dense forests in the mountains. However, at the crack of dawn, they make their way down into the Jigokudani Valley, which is also known as the Hell Valley due to the sulphuric gases that seep from the depths of the earth. You can see the monkeys all year round, and it is a wonderful experience no matter what time of the year you come. People come in droves to see the snow monkeys, particularly in the winter, when the landscape is wrapped in a blanket of snow. 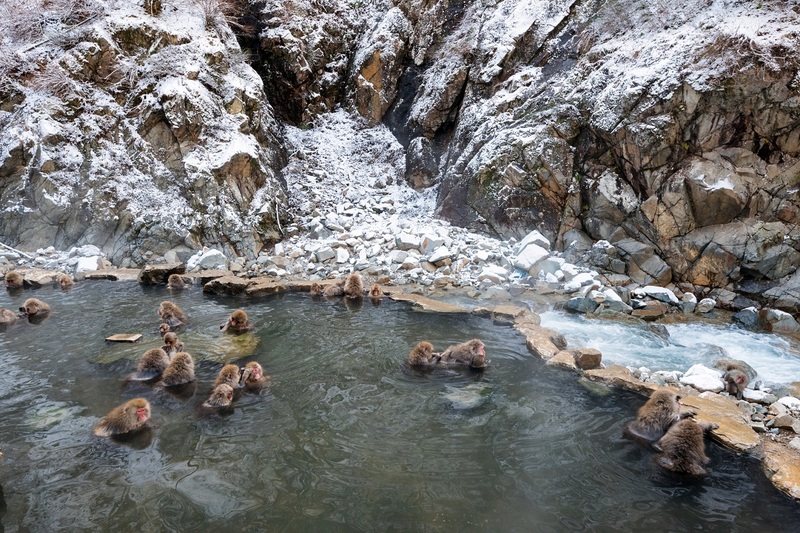 To keep warm, the monkeys go down into the valley to bathe in the hot springs, known as onsen. This phenomenon is found nowhere else in the world. Here you can see them playing and chasing each other, leaning on the edge of the water with a satisfied look in their faces, or sitting and grooming one another, getting itches scratched where they can’t reach them. The scenery with the steaming hot springs, the beautiful nature and adorable snow monkeys makes the area incredibly picturesque. The park closes at 16:00, and you can comfortably head back to Yudanaka afterwards for your own onsen experience. 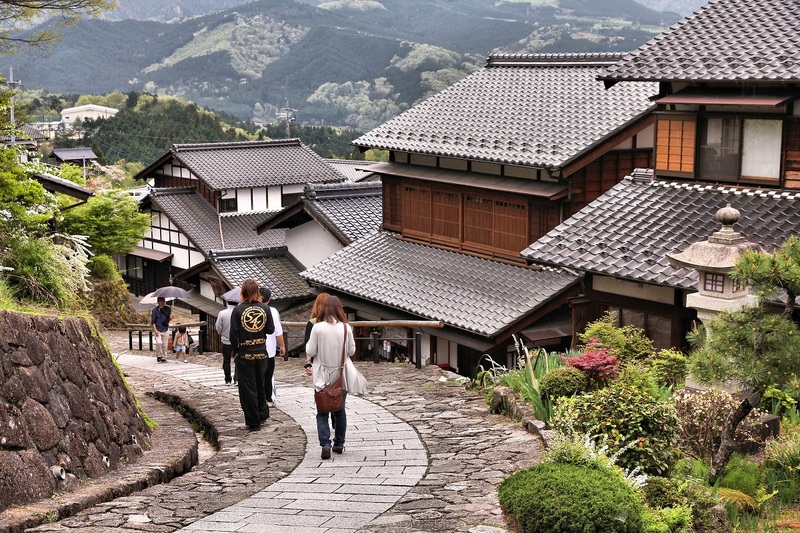 On your way back to Tokyo the next day, you can make a stop at the pleasant town of Obuse, which is packed with Japanese art, culture and ancient traditions. This extension takes you back to Japan’s Edo period, which lasted from 1603 to 1867. 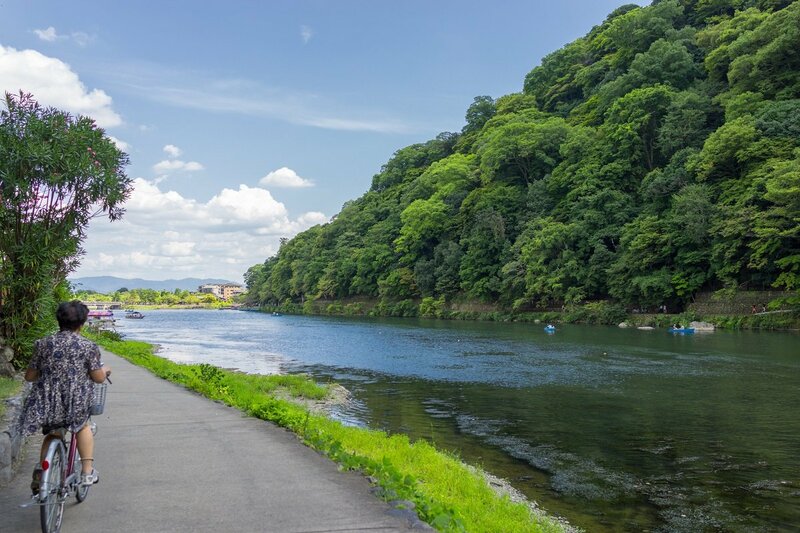 You start in the idyllic town of Matsumoto, surrounded by the gorgeous Japanese Alps. 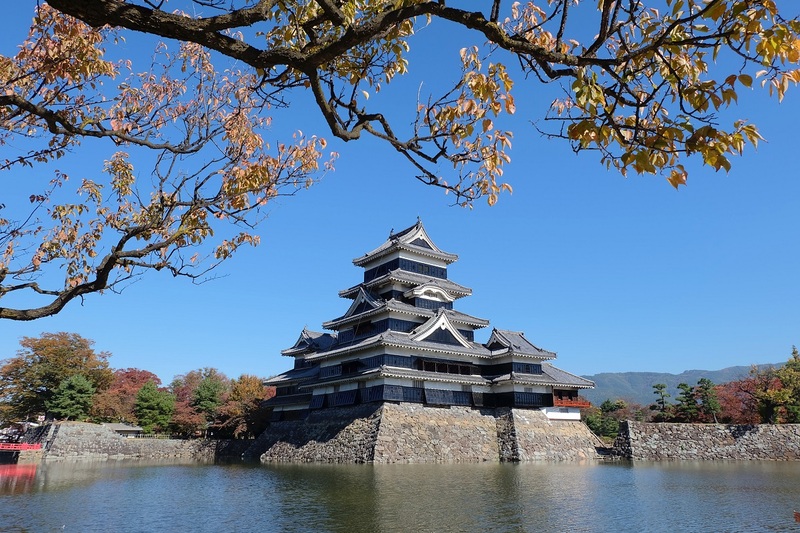 Aside from its fantastic location, the town is known for its iconic black castle, Matsumoto-jo, which is also known as “Karasu-jou”, which means the “crow castle” due to its black facade. The castle was built back in 1504 and is today a national monument in Japan. Matsumoto-jo is one of the few castles in Japan not to have been destroyed by wars, fires and earthquakes, and so it stands just as it did when it was built over 500 years ago. The trip continues to Tsumago in the natural beauty of the untouched valley, Kiso. Tsumago is on the 500-km Nakasendo Highway, which was one of the most vital arteries of traffic between Tokyo and Kyoto in the Edo period. 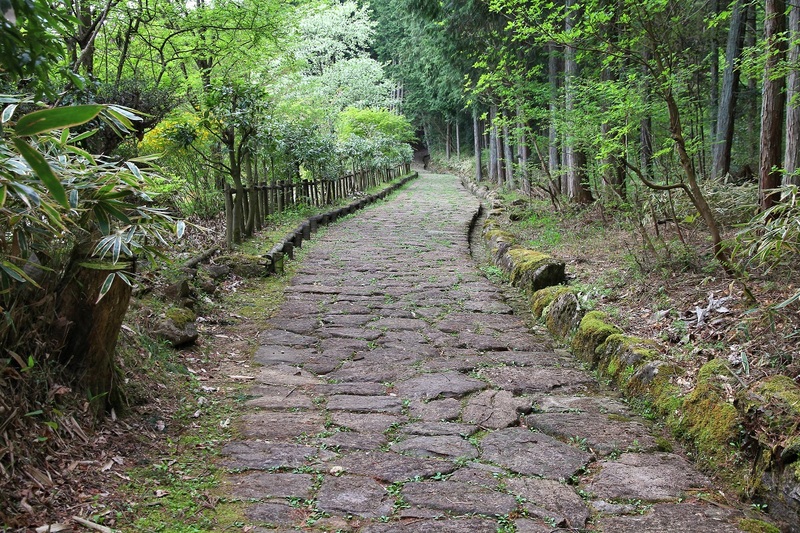 The road was used to transport goods and mail, and was furthermore used by pilgrims, shogun and samurai. Travellers stopped in towns only to spend the night, which is why you can find traditional accommodation spots along the route. 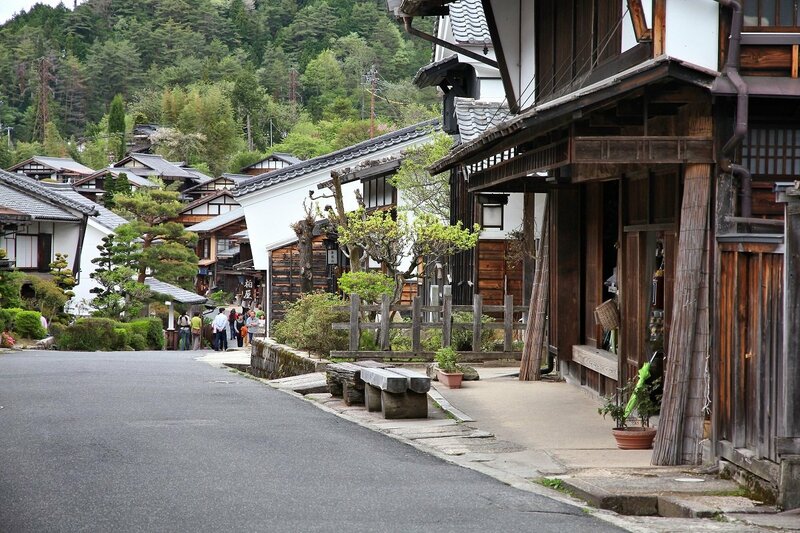 Today, Tsumago is one of the two best-preserved villages on the Nakasendo. As you walk down the main street, you get the sense of having travelled back through time as you are surrounded by traditional wooden houses that appear authentic in their constructed with curved tile roofs and characteristic wooden shutters on the facades. Cars are forbidden in the town during daytime and all phone and electrical lines are well-hidden, making the gorgeous, forest-clad mountains your scenery. 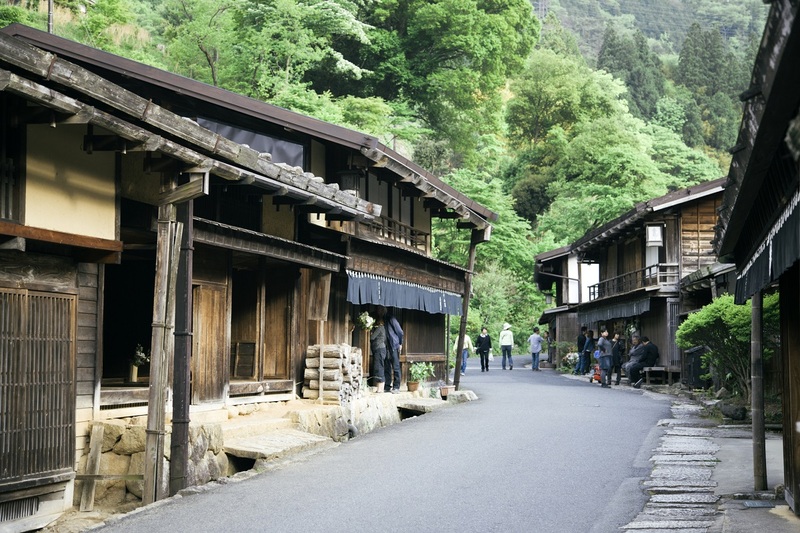 From Tsumago, you wander along the historical Nakasendo Highway to Magome, which is the other one of the best-preserved towns on the route. Tsumago and Magome are about 8 km from each other and the hike takes about 3 hours at a calm pace. This is not a tough hike, and there are signs written in English the whole way. The trip is enchantingly beautiful and on the way you will pass high cedar trees, waterfalls and small Shinto shrines. When you arrive in Magome, you can enjoy the magnificent panoramic views of the Japanese Alps, whose peaks can be seen quite clearly. Just as in Tsumago, Magome allows you to experience the beautiful, traditional wooden houses from the Edo period along the main street. Here it is practically impossible to avoid bumping into the name Toson. As some may know, Shimazaki Toson is a renowned Japanese author who was born in Magome in 1872. If you like, you can pay a visit to his birthplace, which today serves as a museum. NB! This tour is not possible from December to February.